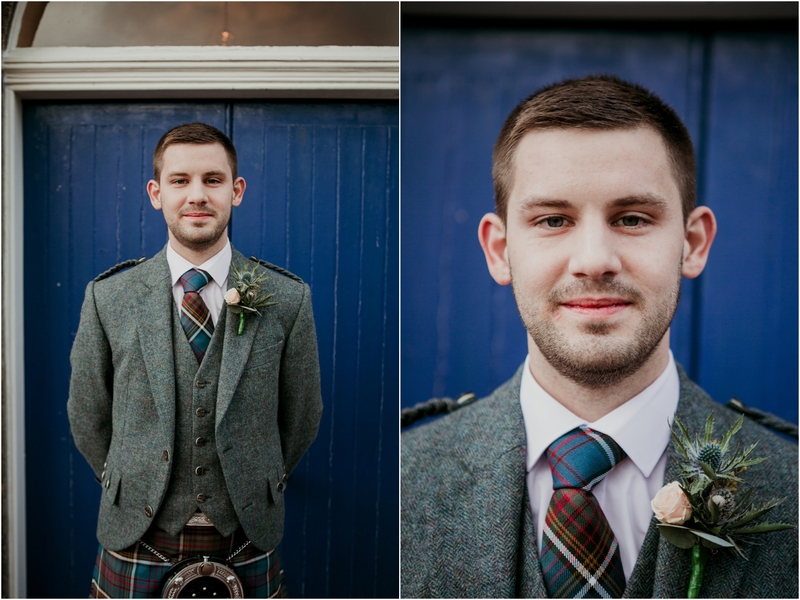 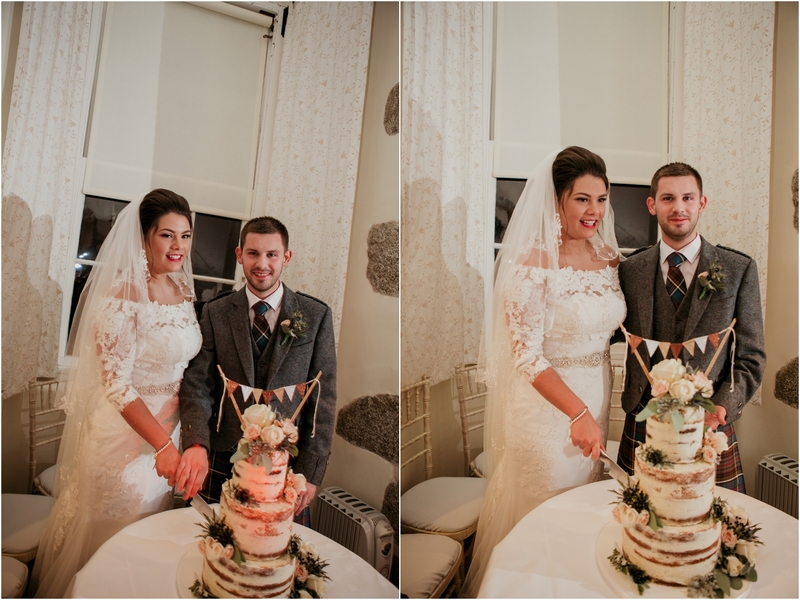 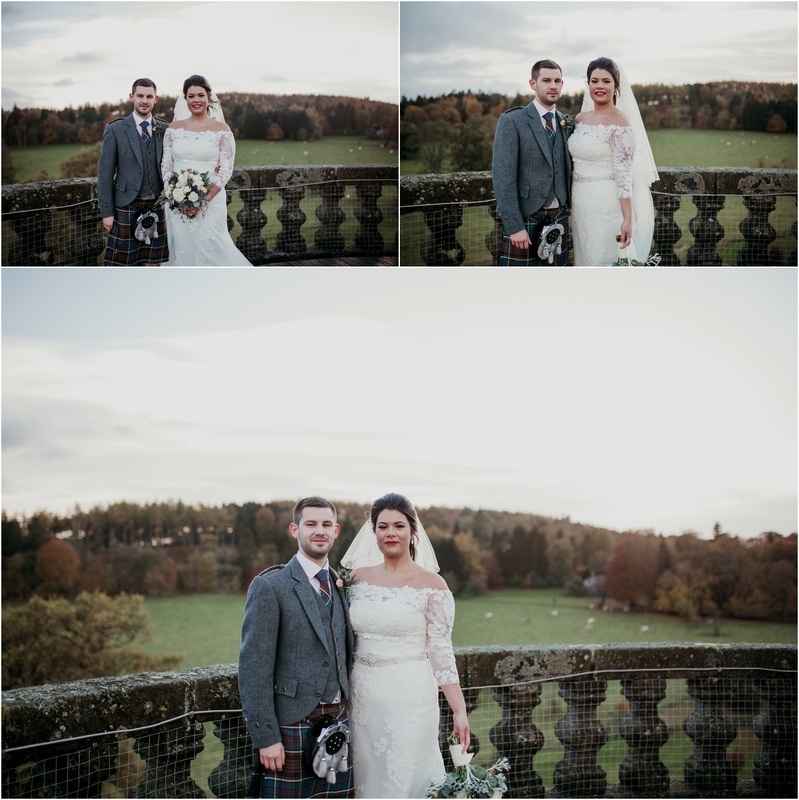 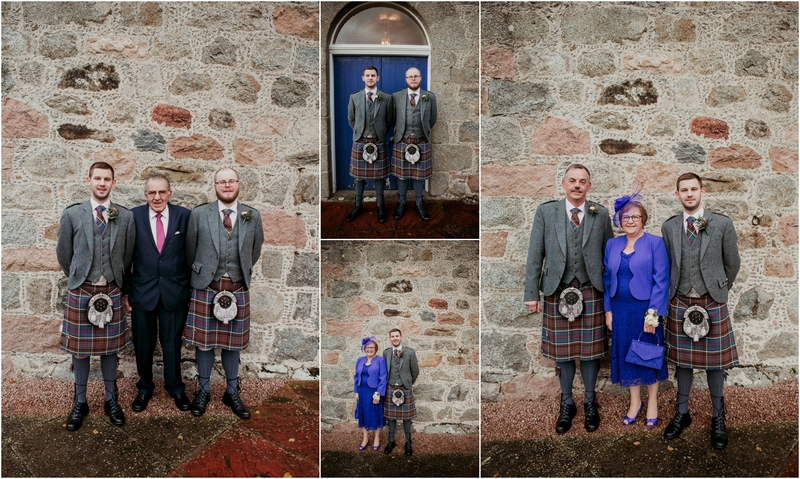 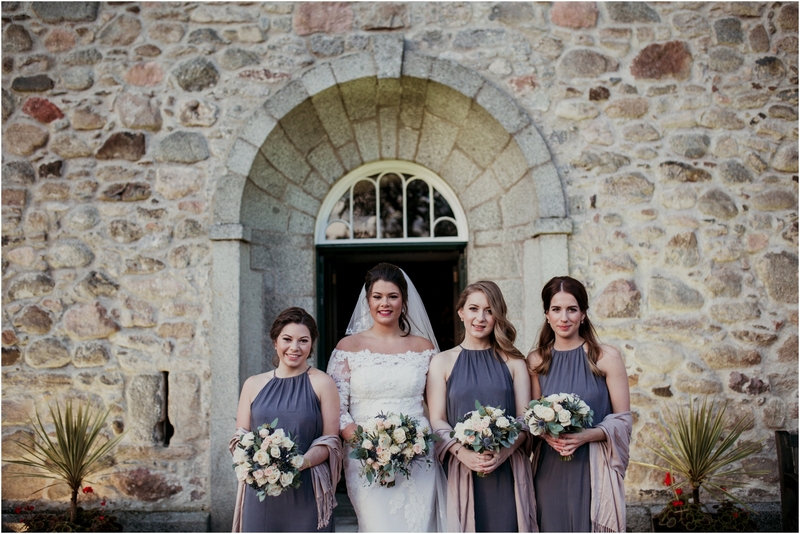 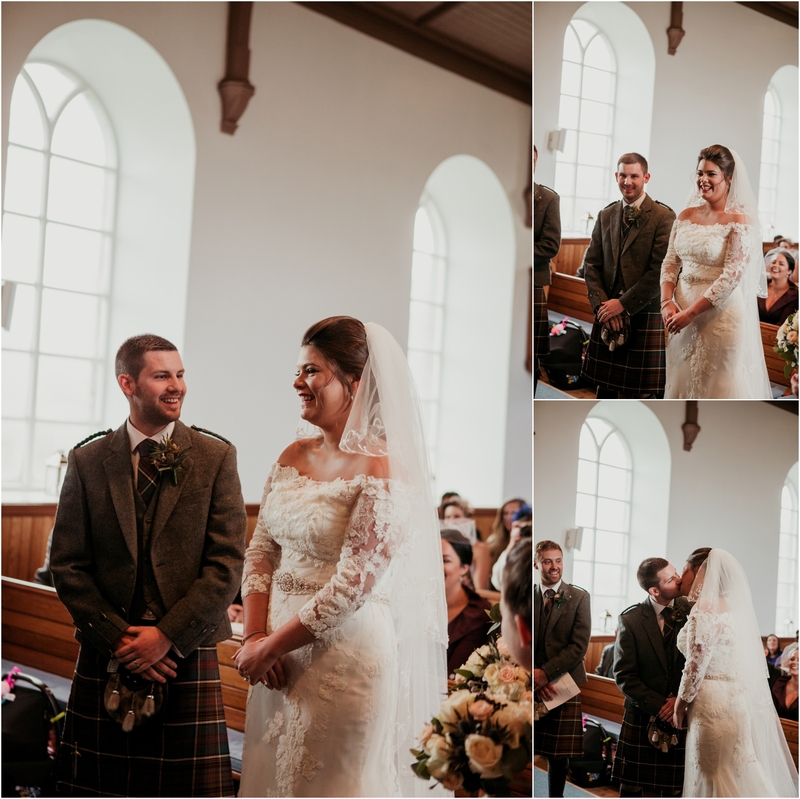 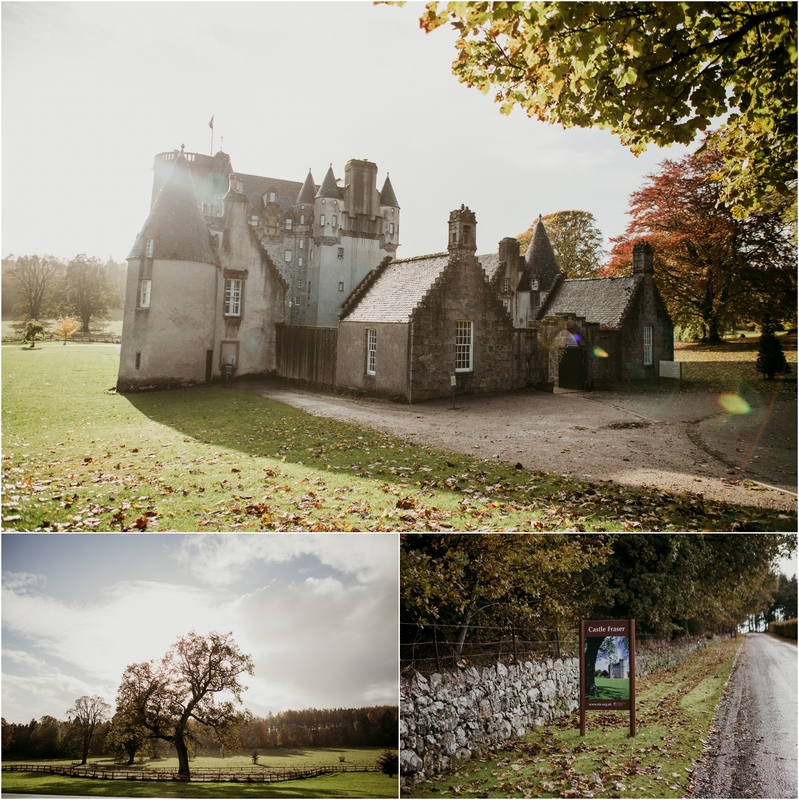 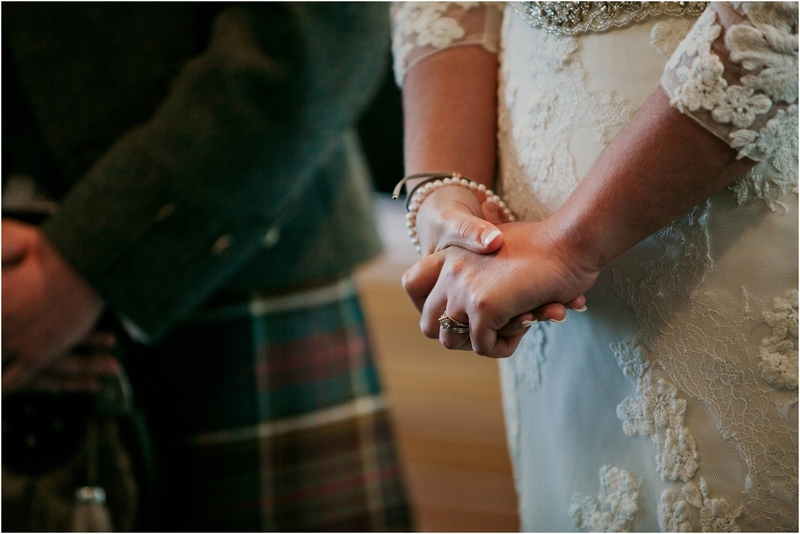 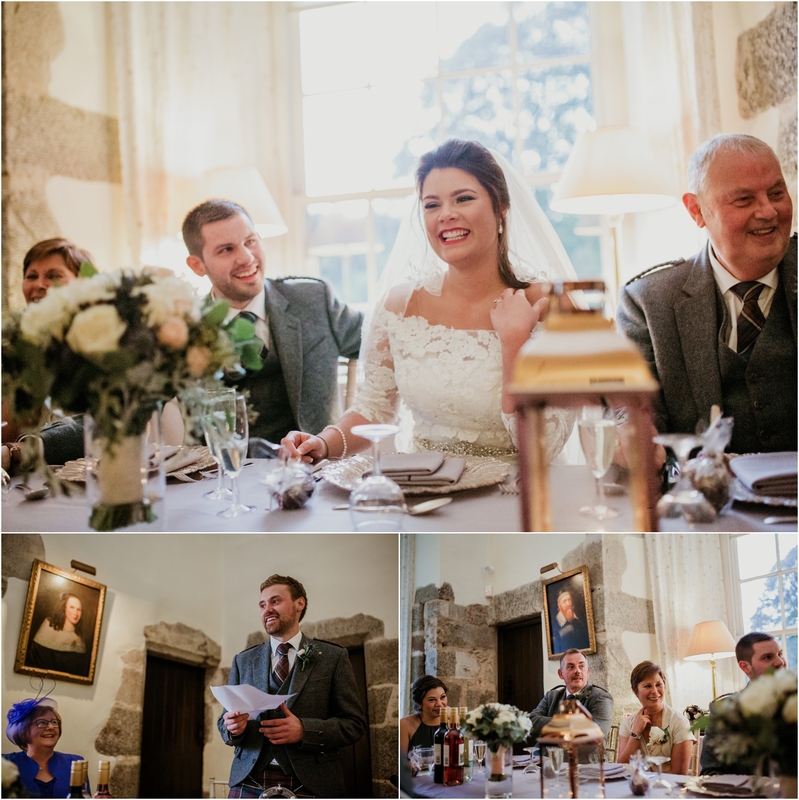 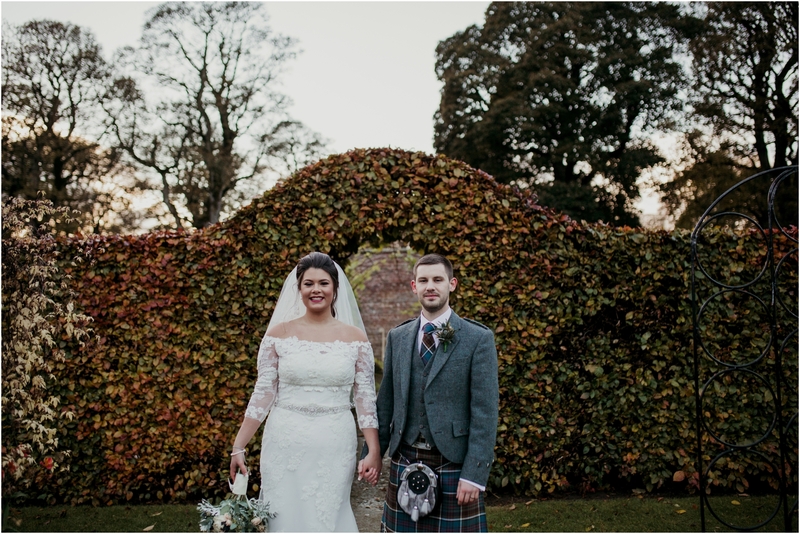 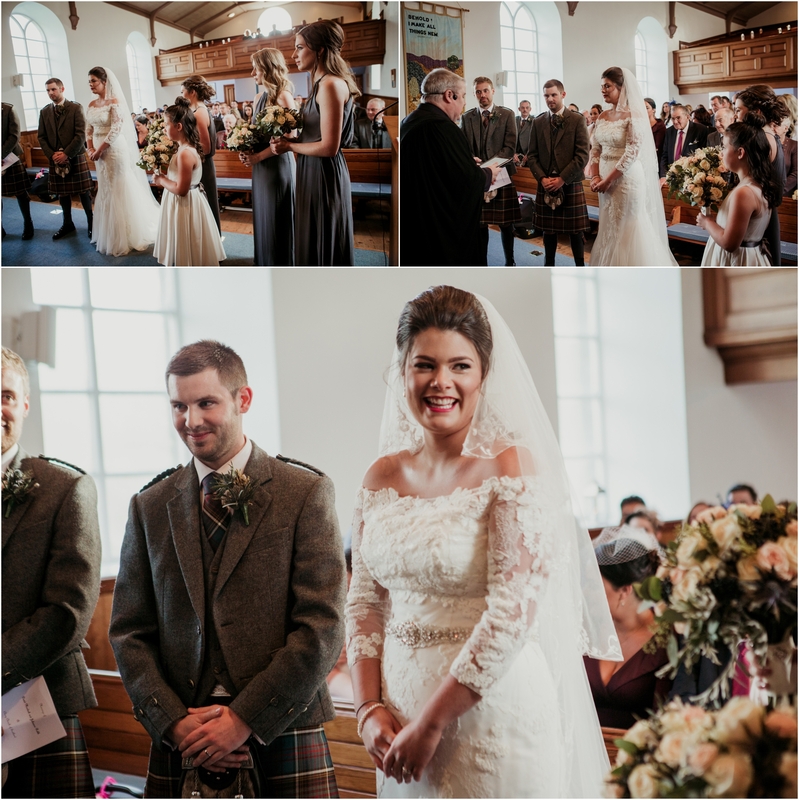 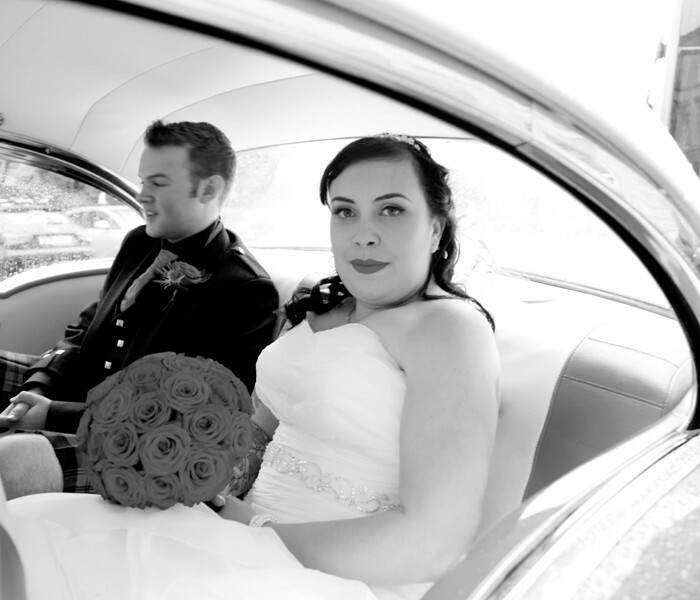 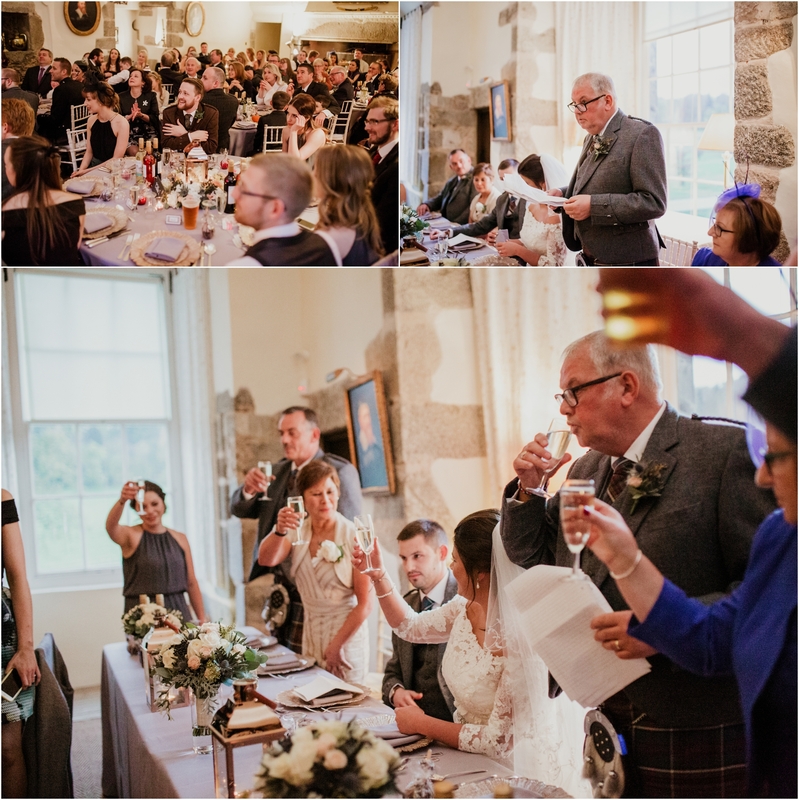 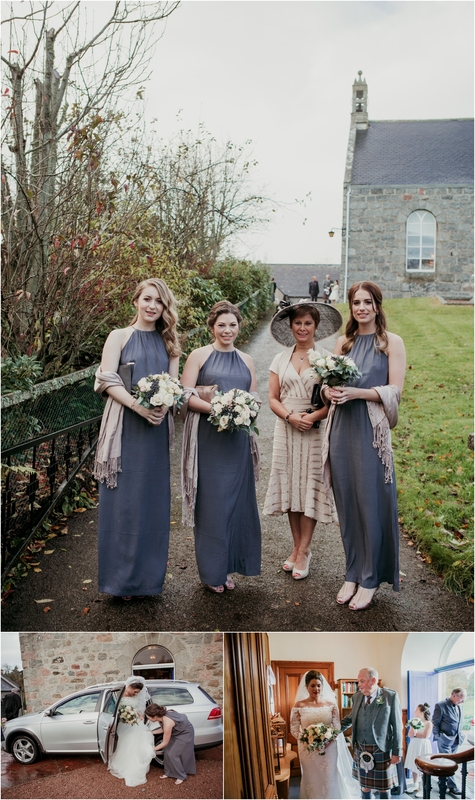 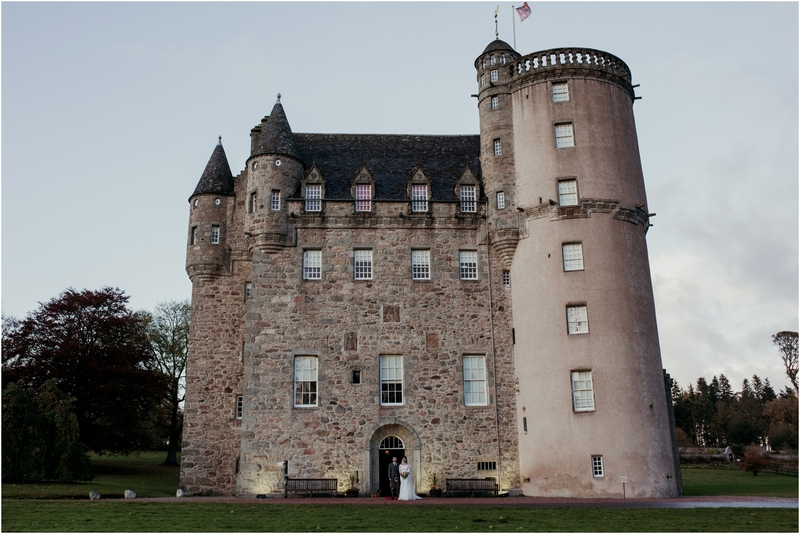 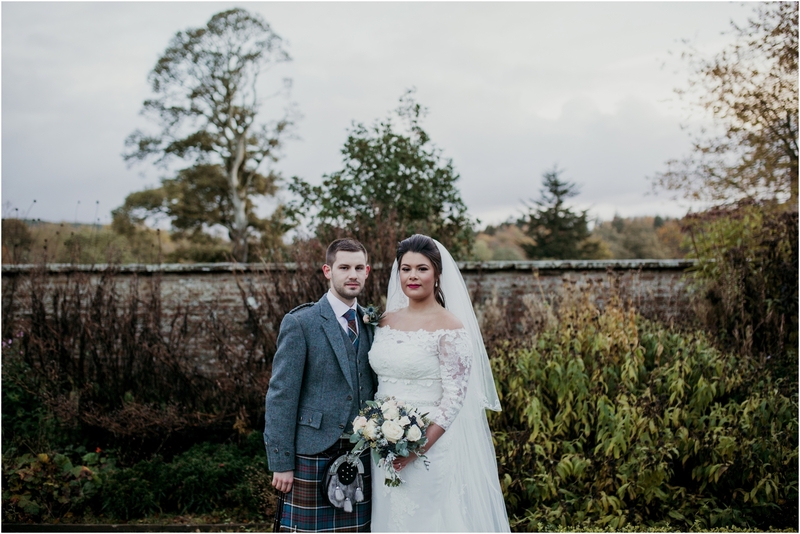 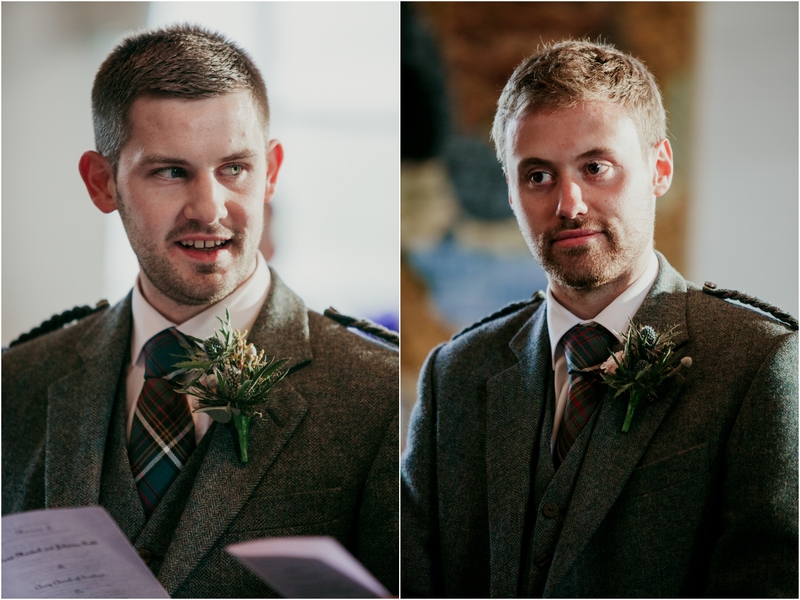 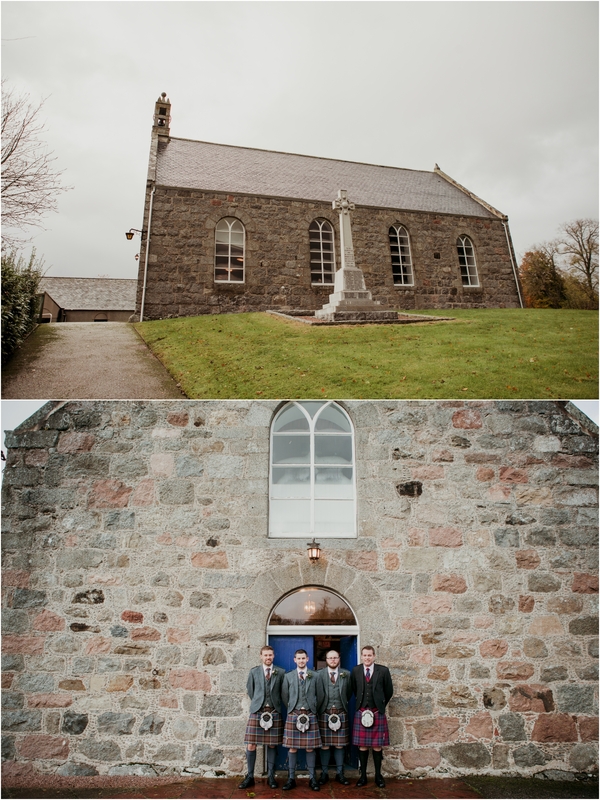 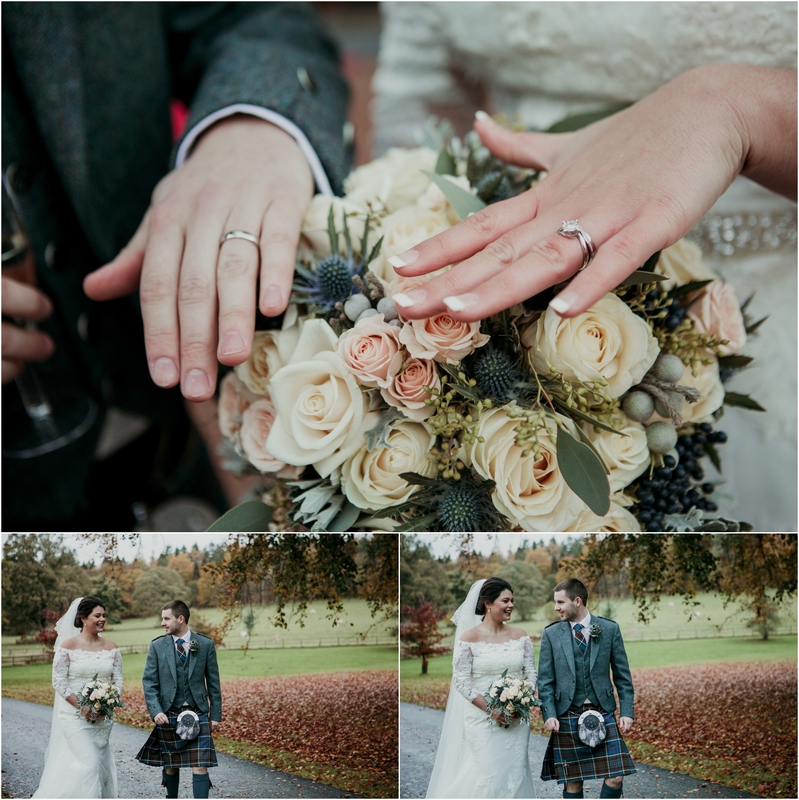 From gorgeous winter Sun to crazy cold hailstorms, the stunning Cluny Parish Church and Castle Fraser near Inverurie was the perfect setting for the gorgeous wedding of Jules and David. 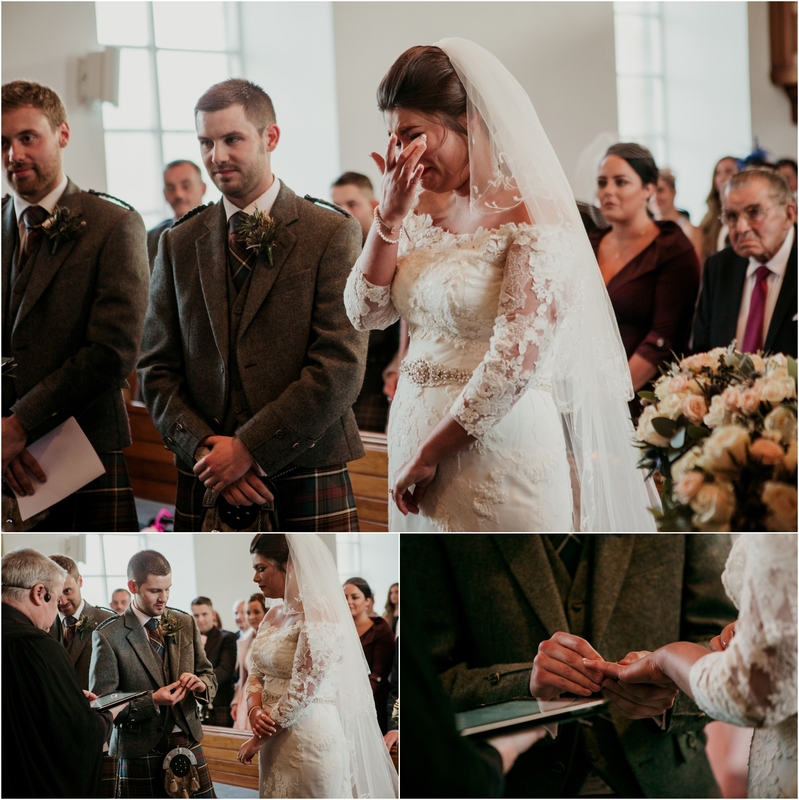 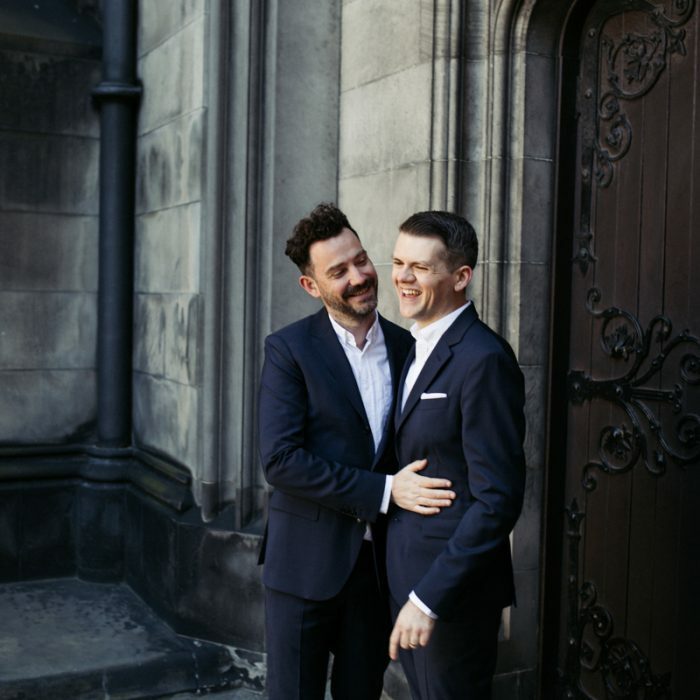 Cluny Church is close to David’s family so was extra special for their emotional wedding ceremony with tears in the eyes of Jules and many of the guests. 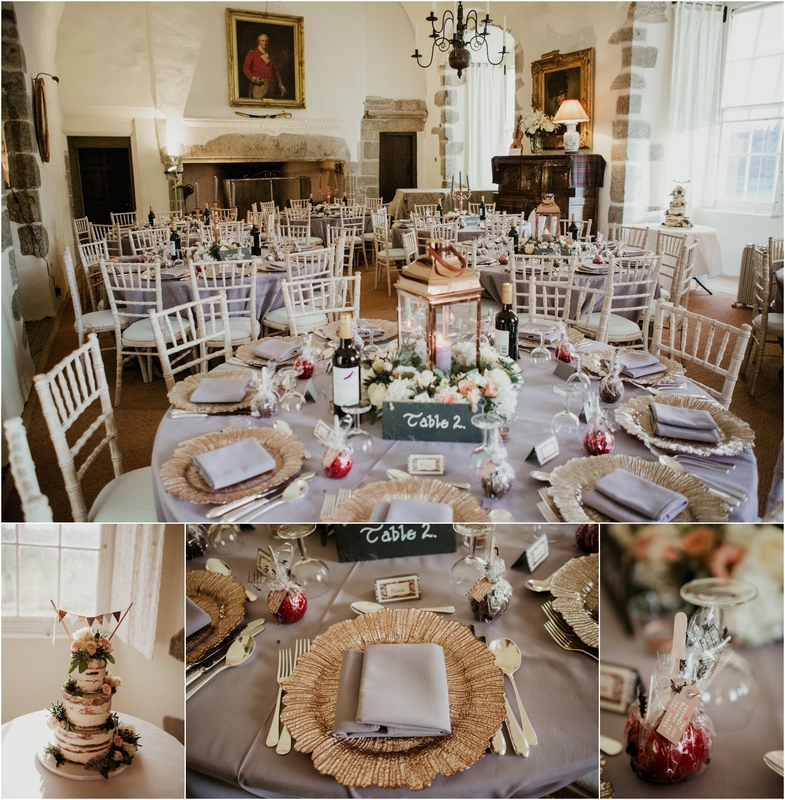 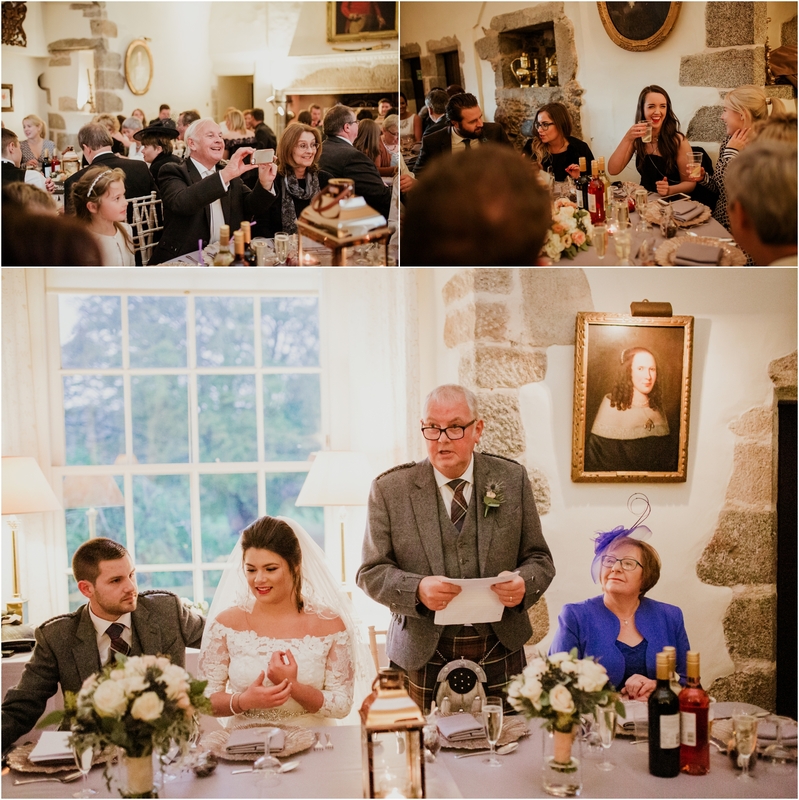 The atmosphere and grey and gold colour scheme with pastel flowers fitted the grand ballroom of baronial Castle Fraser dating back to the 15th century. 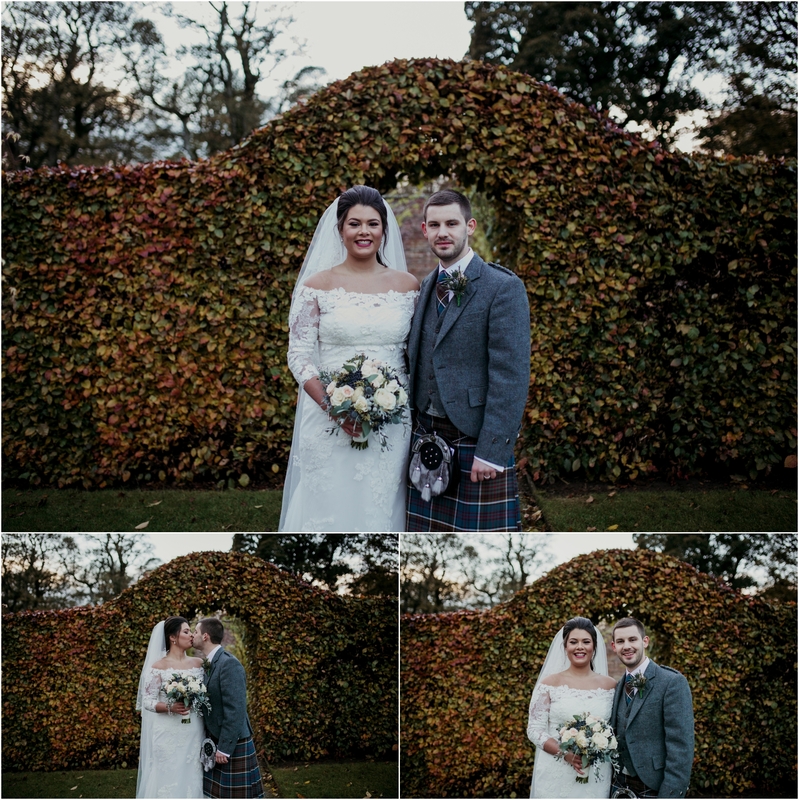 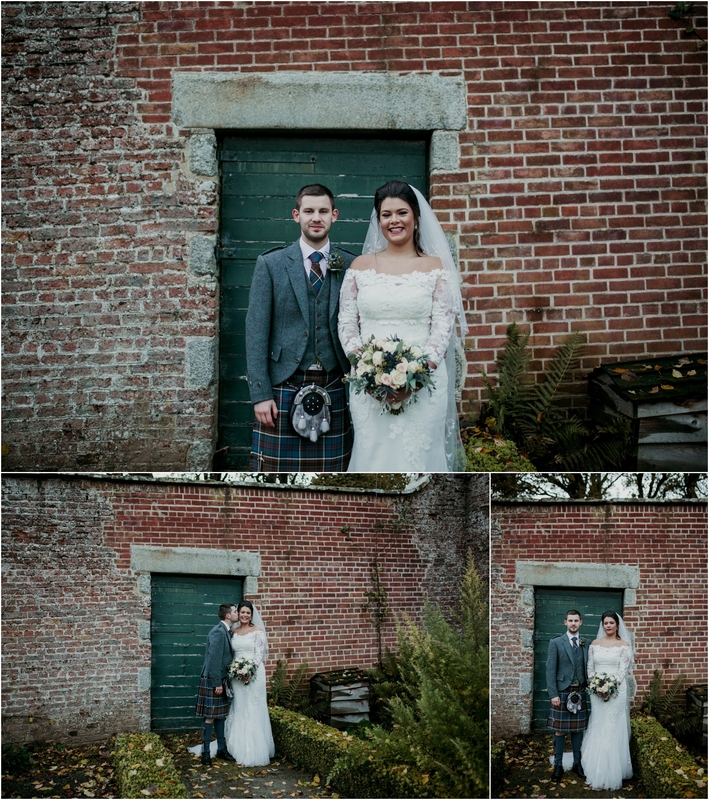 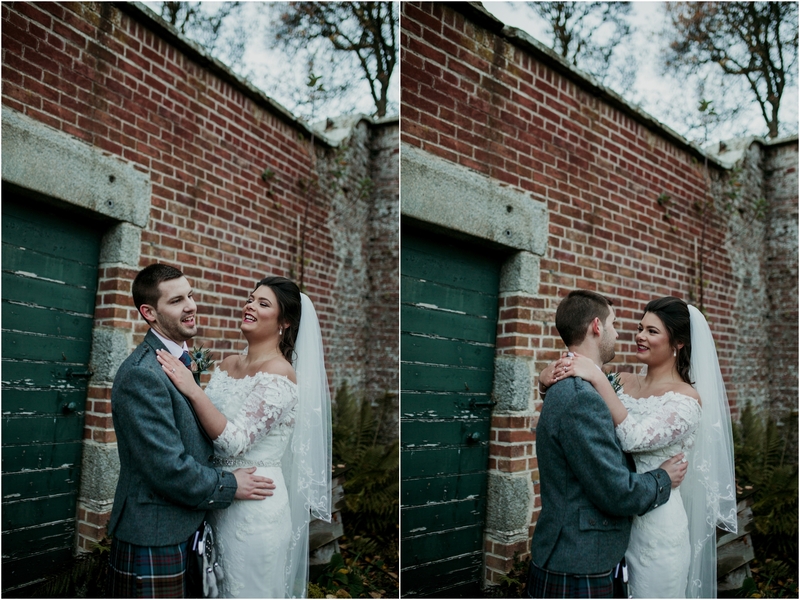 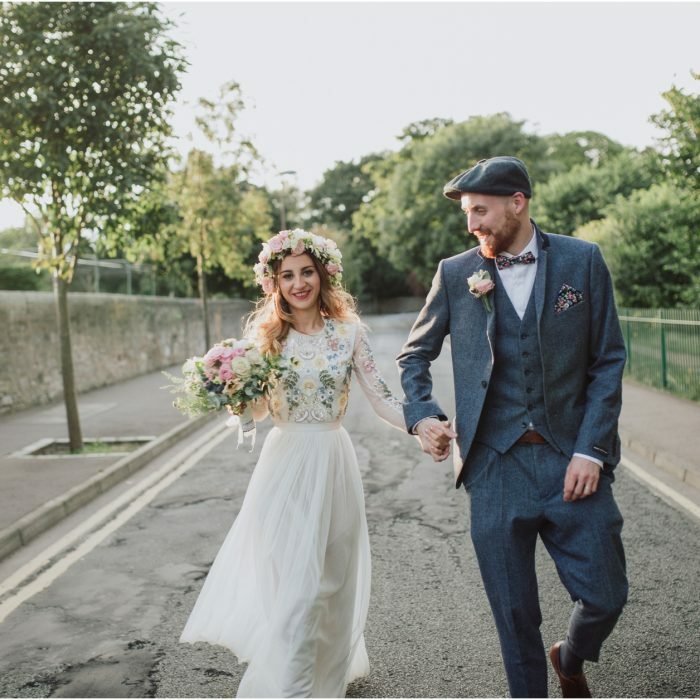 The walled garden and roof terrace made the perfect setting for their couple photographs. 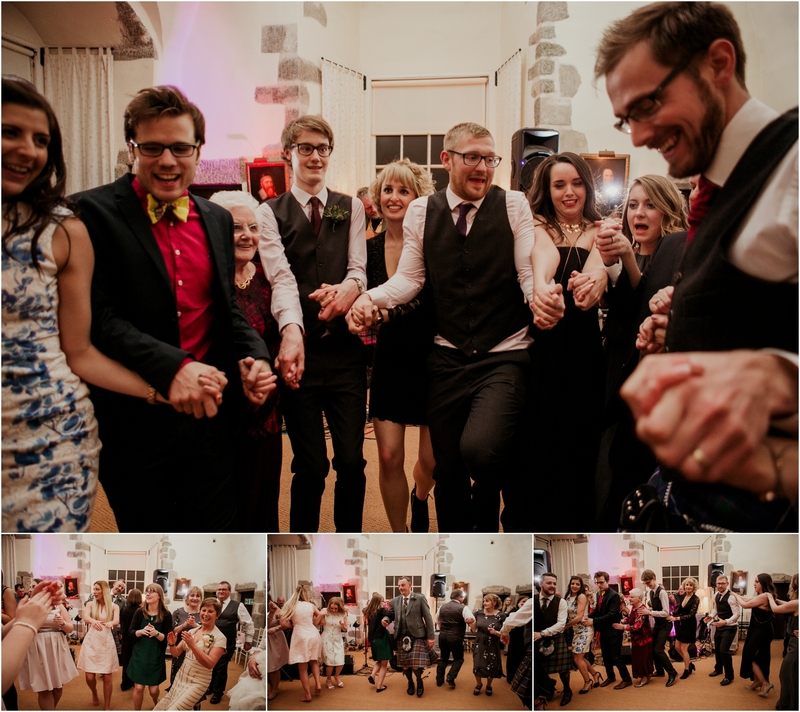 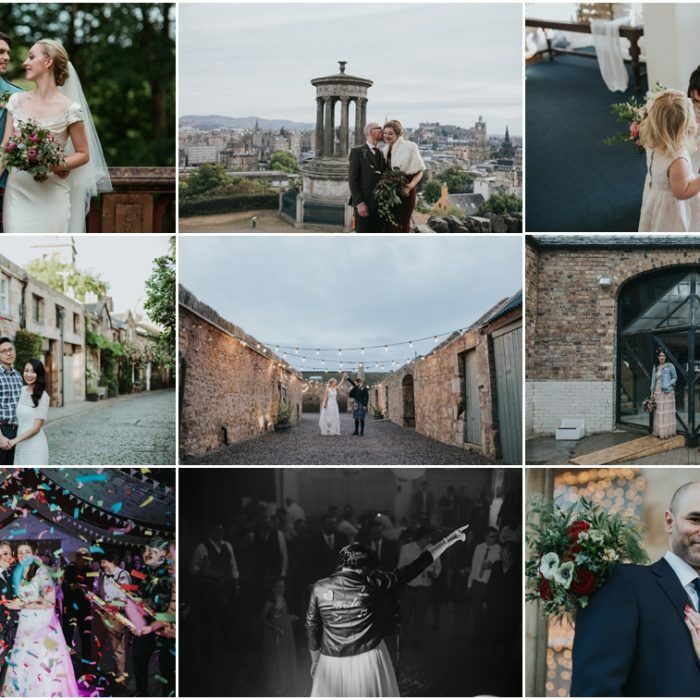 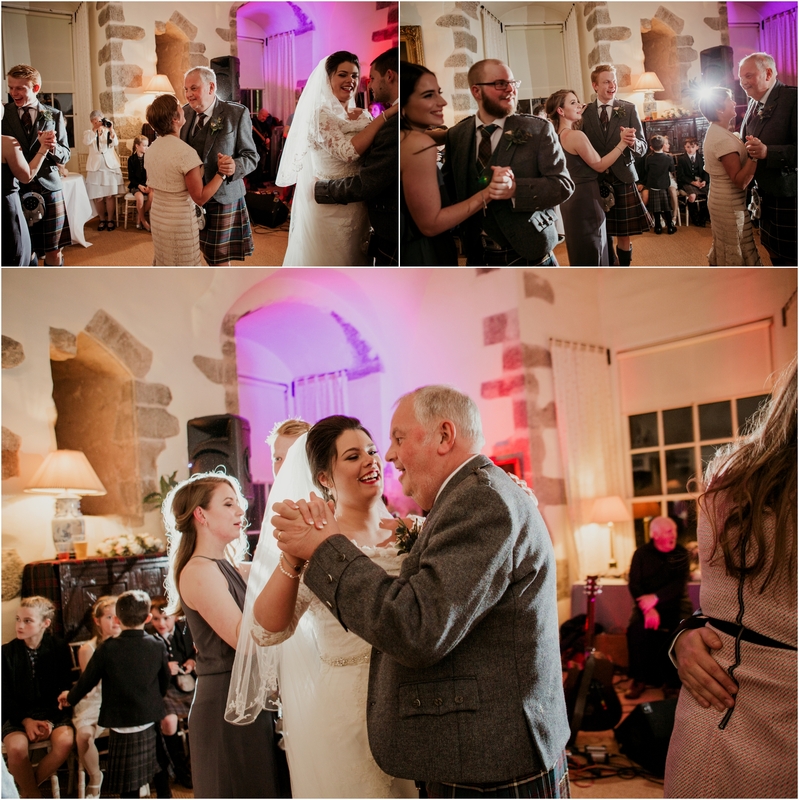 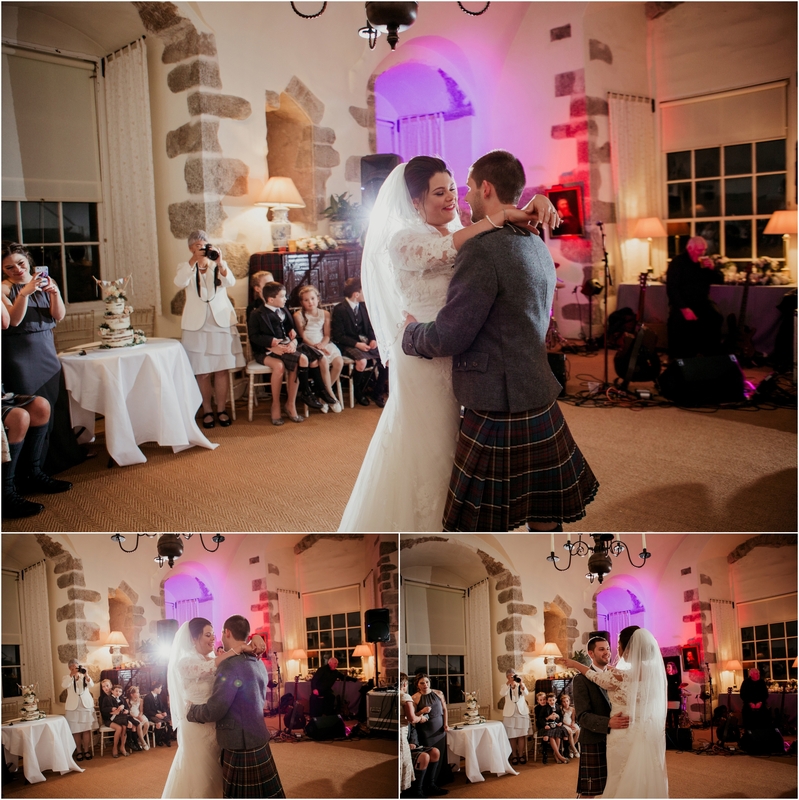 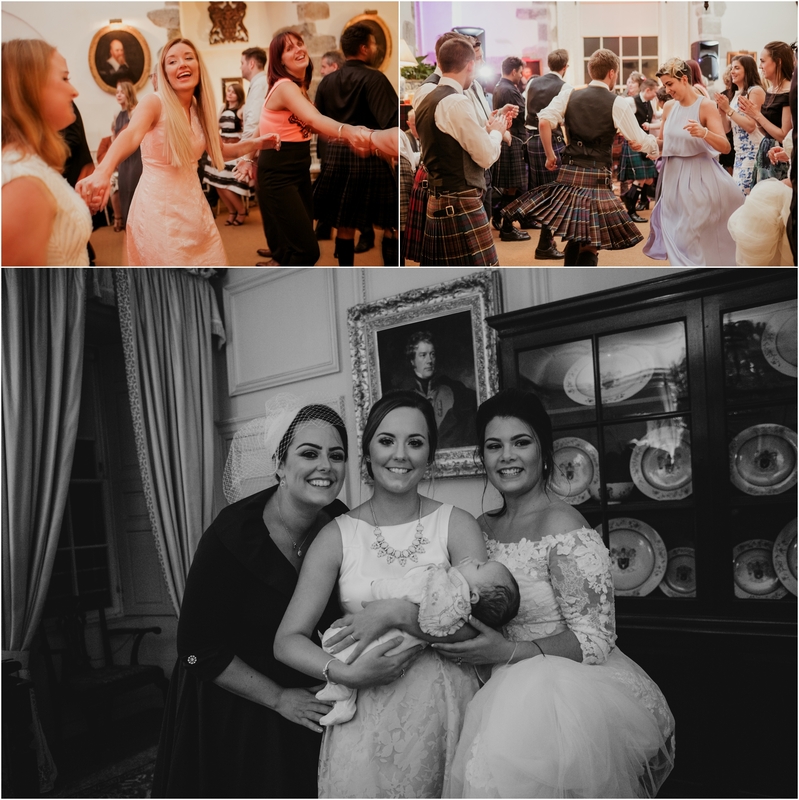 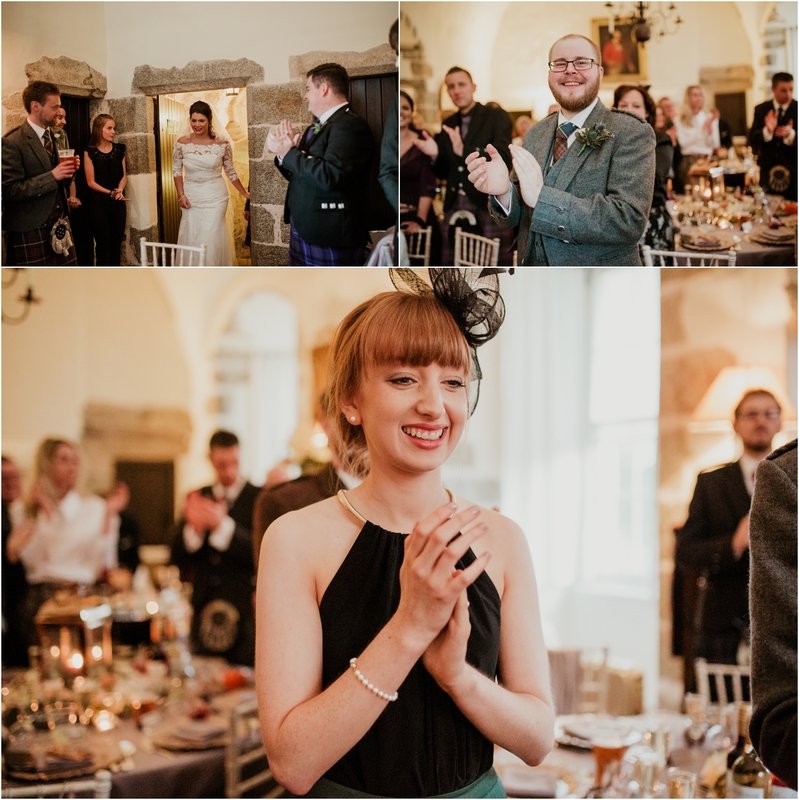 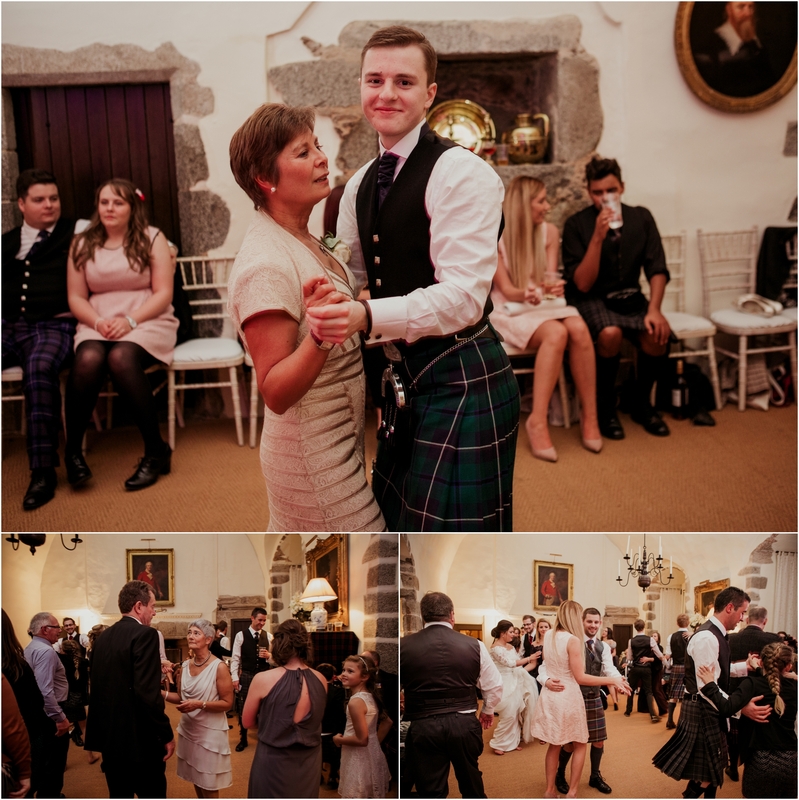 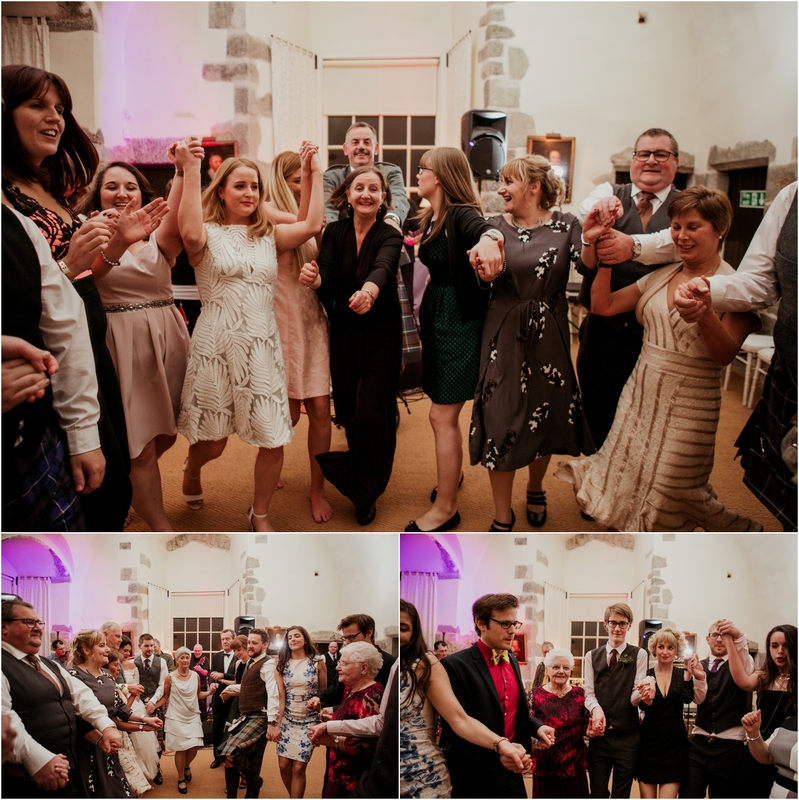 I loved their choice of a ceilidh for the evening reception with all of the guests getting involved and plenty of enthusiastic waltzing and spinning partners around on the dance floor.